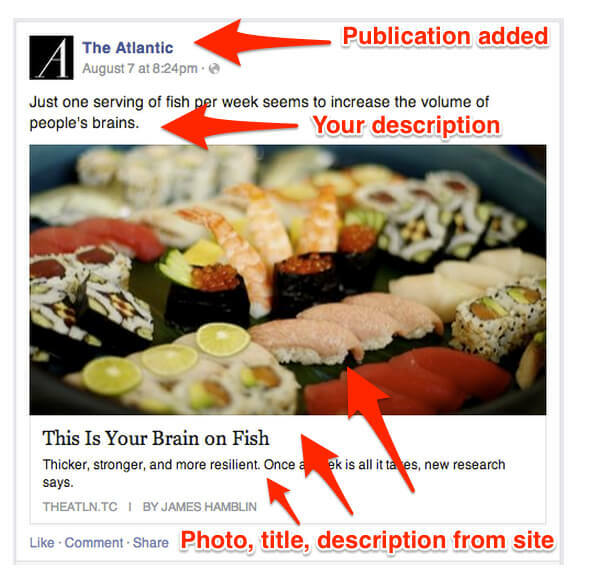 When creating a post of type link on Facebook (one of the 15 types of post) the system retrieves a preview of the web page that is about to be published and presents it with information such as: a title, a description and an image of thumbnail. If you are looking to change this information you are in the right place. On this article I will explain how to modify or update the link previews in two cases: in case the link should still be published, and if it has already been published, on a page or on a Facebook profile. In the specific case in question we will consider the publication of the links on Facebook Pages. In fact, Facebook has in fact deactivated the customization of links on profiles, groups or events. 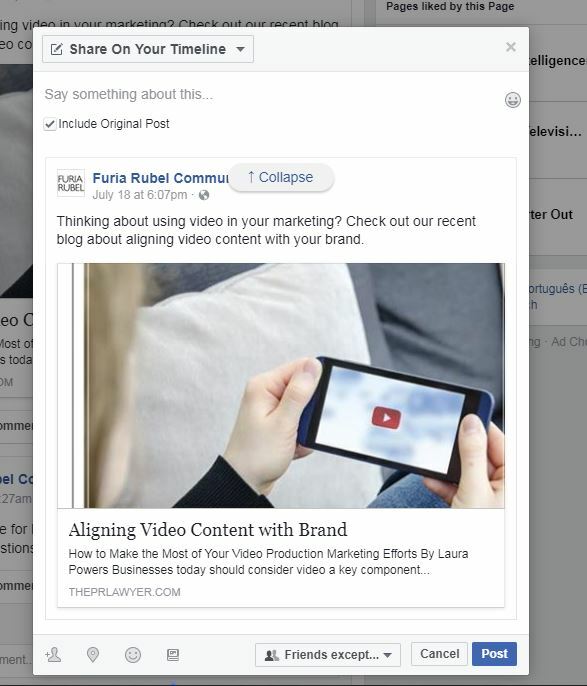 On Facebook pages you can change the title, description and preview image of a link before it is published. To do so, just paste a link (hyperlink) in the box of publication of a page, wait a few moments so that Facebook retrieves the preview information, and proceed to click on the title or description to change them. To modify the preview image, instead, click on the + (see image) and load a new image; you can then choose to keep both (or more) images or remove the previous image. 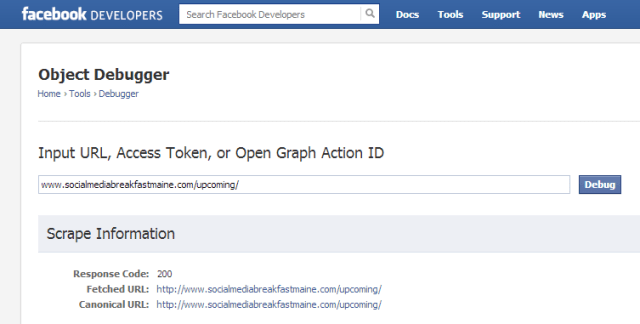 A more professional and correct alternative, applicable in case you publish a link related to a domain in our possession, is the use of open graph tags and the Facebook debugger tool. Through the open graph tags it is possible to modify the information of a link both in case it is published by us and if this is shared by anyone else, or you can provide Facebook with specific information to upload when trying to share a specific web page . For a complete guide to open graph tags and their correct use read the article: How to insert Facebook Open Graph Tags on a site. In the event that the link has already been published and it was necessary to update the preview information associated with it (for example, if you realize an error in the title, in the description, or in the image in a post with a link already published) we will have to use the open graph tags to update the information. 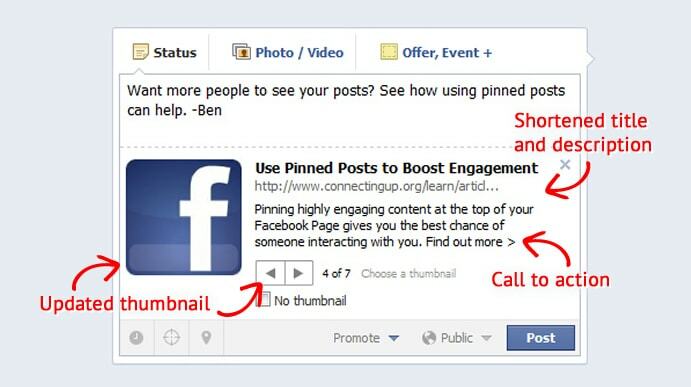 Take the example shown in the following image, published on the HowToDoForFacebook page. The same procedure can be followed for links published on a profile; the only mandatory condition is that the link belongs to us, or that it is a site controlled by us. Let’s assume the case is necessary to replace the preview image of this link. The link points to an article in this blog, which is based on the WordPress platform. Here you can use a plugin to customize the image to be communicated to Facebook (I use Yoast SEO). In general, for any web page, refer to the “<og: image>” tag as explained in the open graph tag guide. After modifying the image of the article it is necessary to empty the Facebook cache or ask Facebook to make a refresh (scraping) of the information concerning that web page contained in its memory. In fact, for greater efficiency and speed Facebook caches this information, and through the debugger tool allows you to recharge. From the tool insert the specific link, click on the debug button, and then on the “perform the scraping again” button; the preview of the link shown should now display the new information. At this point it is necessary to go back to Facebook. From now on all the new shares of that link will display the new image. But we are interested in updating the preview of the previously published link; here’s how to proceed. We must first visit the post page, or its permalink. Just click on the date of the post as shown in the figure, to access the specific link of Facebook regarding that post. From here we click on the post menu (arrow on the right) and we will find a voice called “Update attachment sharing”. Clicking on the item will come out a popup that will show the new preview of the link, asking if we want to proceed with the update of the information. A click on the Save button will make the change. The post has now been modified. It contains the same “likes”, comments and shares, but now has the preview image updated. A nice trick to know and use to fix errors without having to delete and republish the post. Share it and make it good use.